While this store was subject to a "New Store" post awhile ago, I figured I would revisit it. The store, back then, seemed to have never opened, until out of the corner of my eye, the store opens without any notice from Key Food or any other supermarket bloggers. Obviously no one cared! The situation at Plainsboro here is actually quite sad. 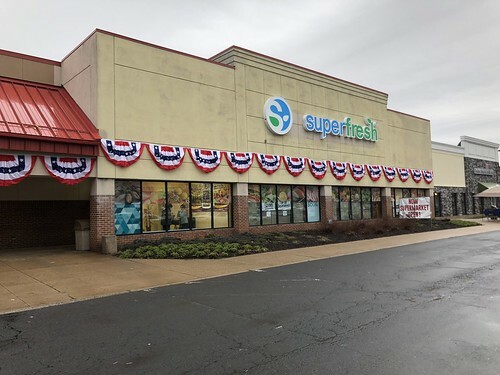 Superfresh was in town for more than 30 years... with their more recent location being the former Caldor, which we are looking at today. 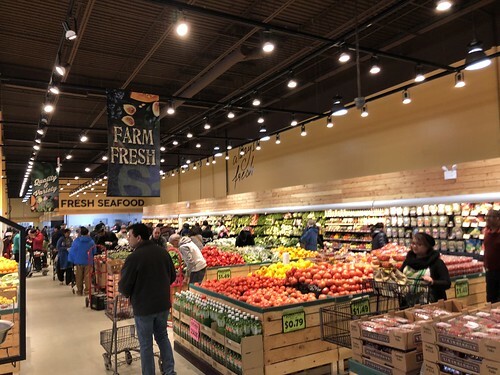 The store was kept in terrible condition and deteriorated, with the Superfresh being one of the lowest-rated supermarkets in town-- and maybe on the corporate level, too. This store performed horribly, and closed in 2012. The store sat empty, even with local patrons creating a petition to bring a new supermarket in. All were bummed when they found out it was Key Food... and then Bell Farms... and maybe a dash of Food Emporium... and finally-- Superfresh. The store opened in February. Major renovations were done... but it was nothing like the Superfresh that was here before. 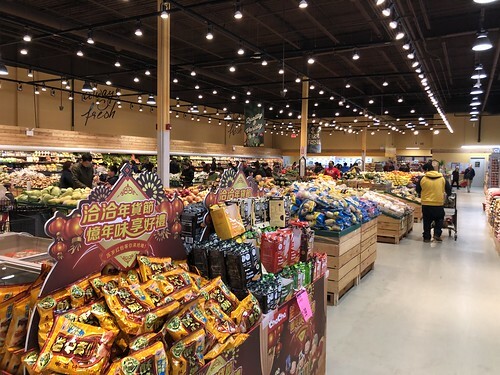 Kevin Kim, the owner of this Key Food, specialized this store with Asian and International goods to attract the ethnic crowds in Plainsboro... when really the residents wanted a supermarket that was actually American. There's already an Asian Market in town, so one will go bust soon enough. New sign with the overly toned down Superfresh logo. I hate the new color Key Food decided to use. Robin's Egg Blue does not work for this. The navy blue made it seem so high end. This... it's like Walmart. 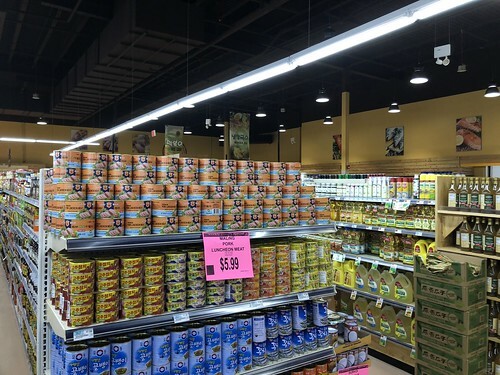 Completely new store... top to bottom. Ceiling and flooring looks really good compared to the linoleum that was once here. When I first viewed the photos of this store, I said What the...? when I saw the tops of the produce cases. Oddly similar to the wood slats A&P used to have! Kimberton Whole Foods uses the same design firm (I'm pretty sure) that Kevin Kim does. A KWF near me has the same toppers. This must have been a renovator's dream... no old fixtures to clear out or repaint. Everything is brand new. 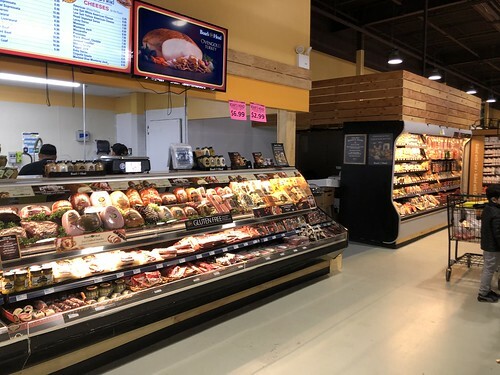 One thing that isn't International in this store is the Deli... all New York Boar's Head! 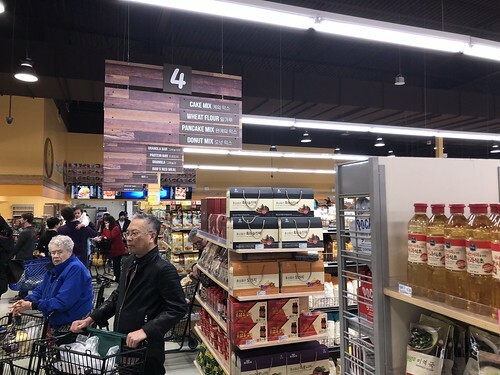 New aisle markers with plaques that seem to stick to them... not a bad idea, actually. Only six checkouts... apparently checkout time is a problem at this store. Almost every review on Google Maps and Yelp criticize this. Why can't supermarkets get their act together, and employ more people on the front end? Apparently the store hasn't been doing so well. The Cafe and Prepared Foods section have since closed, and been left to collect dust. Could another supermarket save this location? I was just in this shopping center today, and the store is shut down. Apparently it lasted less than 8 months. Good. Kevin Kim doesn't know how to run stores anyway. 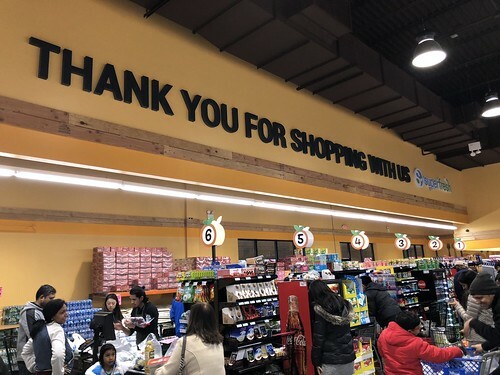 I hope a normal supermarket like ShopRite or Acme takes the space.